Ann Bedingfield McBride was born in Freeport, Texas and grew up in Brazoria County, graduating from Angleton High School in 1961. 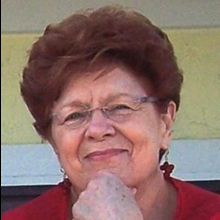 She moved to Houston, TX to attend University of Houston in 1961 and has lived there ever since. She married Allen McBride in 1963. They have two sons, one daughter and three grandsons. Ann was a stay at home mom and started painting in 1977. She began with painting wildlife, landscapes and still life in oils. 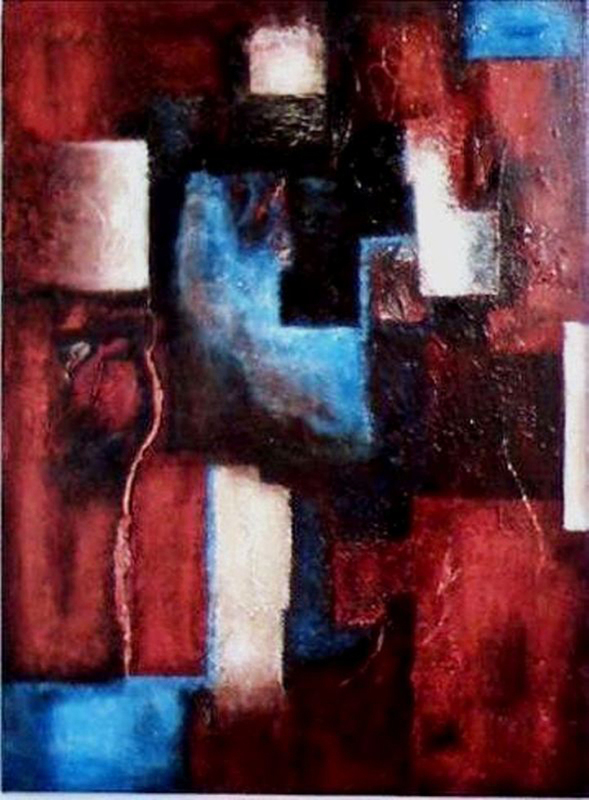 After much exploration with ceramics, watercolor, and encaustics, she discovered abstract methods using acrylic paints, inks and mediums, creating works with impasto techniques and textures. Her work has been shown in numerous group exhibitions, juried shows and a solo show over the past 20 years. She is a member, vice president and past president (six years) of Visual Arts Alliance of Houston. She also is a member of Women in Visual and Literary Arts, (WIVLA), League of Women Voters, (LWV), and National Audubon Society. She keeps busy with her husband and family, big dog, “Jake” and enjoys painting in her studio, reading, attending art shows, meetings, visiting museums and spending time with friends and family. 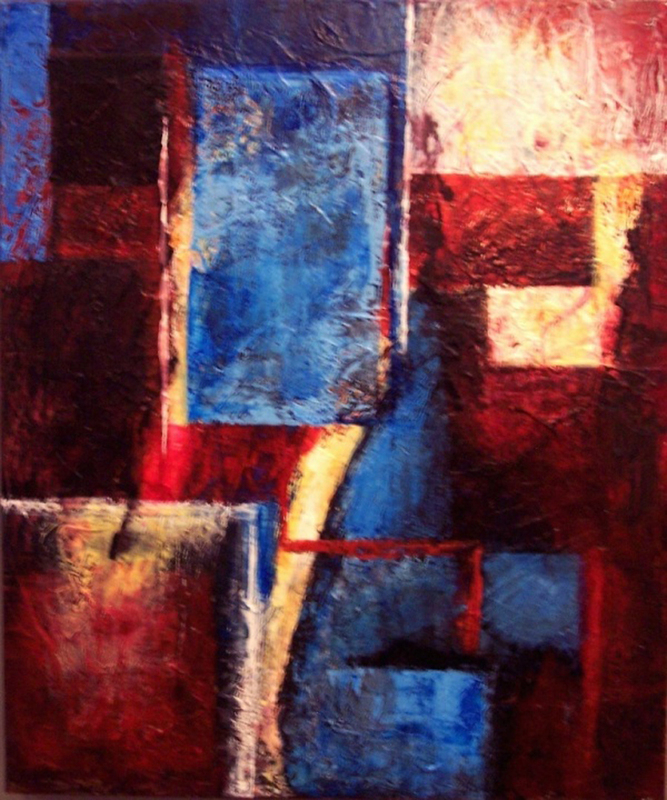 After many years painting realistically, I began painting in the abstract in 1997. Struggling against boredom and the comfort of things familiar, abstract painting was both exciting and frightening.Â Liberation is extremely gratifying and allows the soul to receive the seeds of creativity. The “Matters of the Heart” series was inspired by NASA photographs of nebulae, supernovas and galaxies. The subject is mostly cosmic in nature, combined with metaphorical conditions and emotions of the heart and other paintings with swirling, ever changing masses which suggest transitions in the universe. 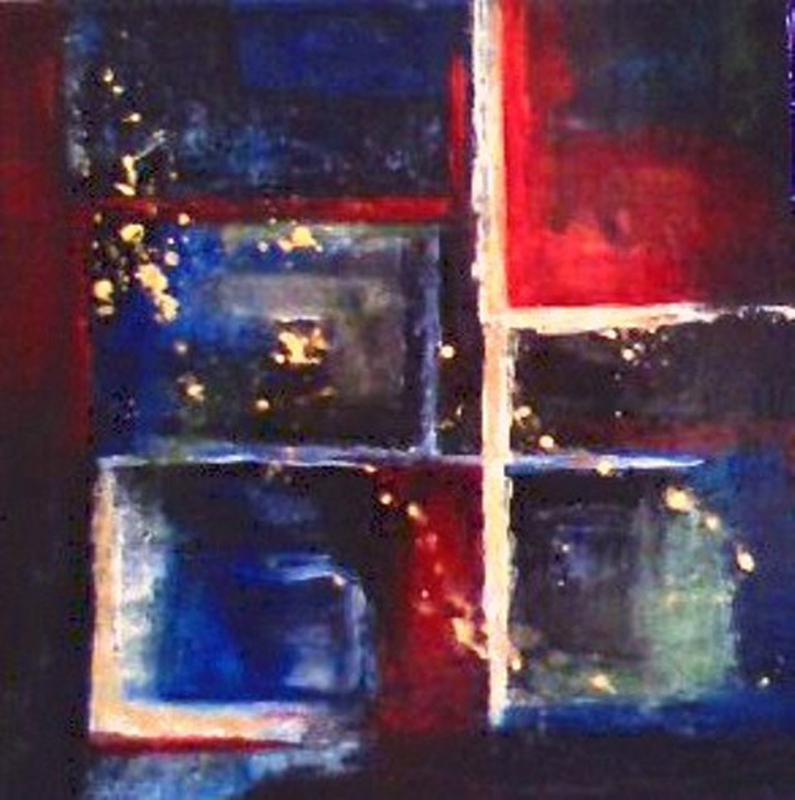 “Windows Into My Past” is the most recent series. Works are rendered in acrylic inks with both controlled and accidental blending of vibrant colors. 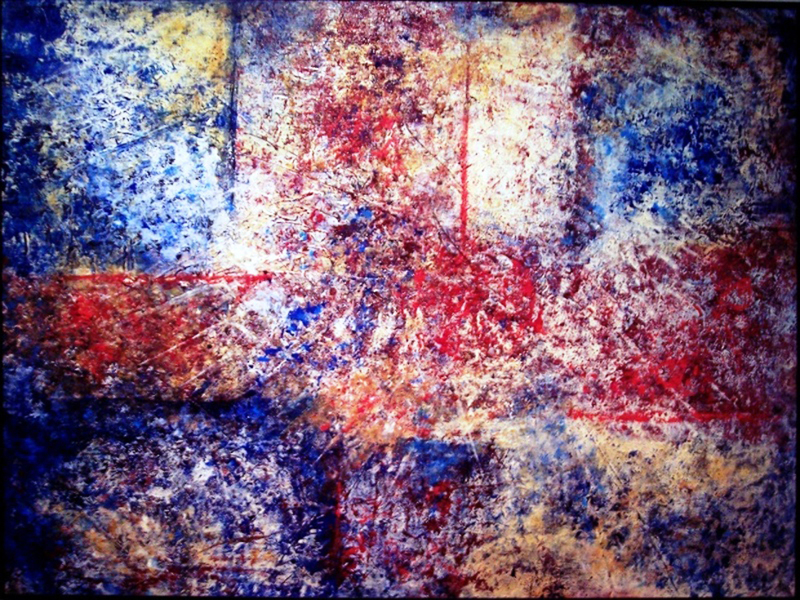 Other works are encaustics or multi-textured mixed media in acrylics. Bright colors are eye candy to me.